Mark Sopp, former executive vice president and chief financial officer at Leidos Holdings (NYSE: LDOS), will join KBR (NYSE: KBR) as CFO in the first quarter of 2017 and succeed Brian Ferraioli who will retire. Houston-based KBR said Tuesday Ferraioli and Sopp will work together to achieve a smooth transition for the company’s financial organization. Sopp held the CFO role at Leidos for 10 years until his 2015 retirement and heads to KBR as the latter proceeds on its strategy to diversify revenue and grow in the government services market through approximately $870 million in acquisitions closed this year. KBR closed its $300 million purchase of the former Honeywell Technology Solutions (NYSE: HON) in September and completed the $570 million acquisition of Wyle in August to create the standalone $2.5 billion KBRWyle business focused on government services. “The addition of KBRwyle has brought a large number of reimbursable professional services contracts to our portfolio and we are seeing continued expansion of existing government contracts and task orders for the U.S. and U.K. governments, ” KBR CEO Stuart Bradie said. “Mark’s long-time experience in the government contracting sector, including knowledge of the government services investment community, will be immensely helpful as KBR expands our government services segment to achieve better balance between our government and hydrocarbons businesses, ” Bradie added. 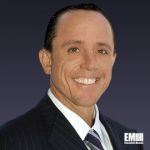 Sopp’s career also includes roles such as senior VP and CFO at the former Titan Corp.; director and international controller at Taylor Made Golf Company; and senior auditor at Arthur Andersen & Co. Tags Arthur Andersen & Co. Brian Ferraioli featured govcon Honeywell Honeywell Technology Solutions Inc. KBR KBRwyle leidos Mark Sopp Stuart Bradie Taylor Made Golf Company Titan Corp.